Gardening Love ? ……What’s all that about? When I decided to start my blog, Gardening love, I thought about all the things that I feel passionate about. I knew that I wanted to create helpful content for people to connect with. A community of sorts, where like minded people can come together. Let me tell you the meaning behind gardening love. So ….. what am I passionate about?? Well apart from my amazing husband and children who are my absolute world, I suppose the main things that really hold a place in my heart and soul are nature, gardening, wildlife and seeking peace and tranquility. Now if you have read some of my other posts, you may have noticed that I talk a lot about mental health subjects and in particular my life with depression. Over the past few years I decided to almost embrace my depression. Rather than letting it control me I just decided to ride the wave and go with the flow. It showed no signs of going away after medication and talking therapy so I thought ‘stuff this for a game of solders’ I’m going to have to find a way of dealing with it. I knew when I started Gardening Love, that I didn’t want it being a blog which focused on the down side of mental health. My hopes were being able to start the conversation about mental health and depression in particular. To explore mental health as an open discussion, as easily as we would discuss toothache. I understand that we as a society are a long way from that. However I believe a change starting. We are being more open about it and are exploring methods for dealing with it’s symptoms. Let’s not get down about it (pardon the pun 🤭) why don’t we try to embrace who we are for a change ? I noticed that when I was outdoors in the garden say or out walking in nature that my mind seemed to be at its most quiet. That constant negative chit chat that lives in my mind was being pushed more into the background. Gardening, became a therapy for me. My church in a way, and helped me connect with myself on a deeper level. Now I’m not saying that my depression has cured because that would be lying 🤥 however there is no denying that I have felt the benefits of what is known as Eco therapy or green therapy. So back to the blog……. whats the meaning behind Gardening Love ? Well I love gardening and I love nature. I also love the thought of helping just one person out there in the big wide world who is having a similar experience to me with regards to their mental health. Gardening love is here for you. So lets step outside and breath in some fresh air. Let’s explore what nature can offer our mental health. Do you find being out in nature is helpful to your mental health? 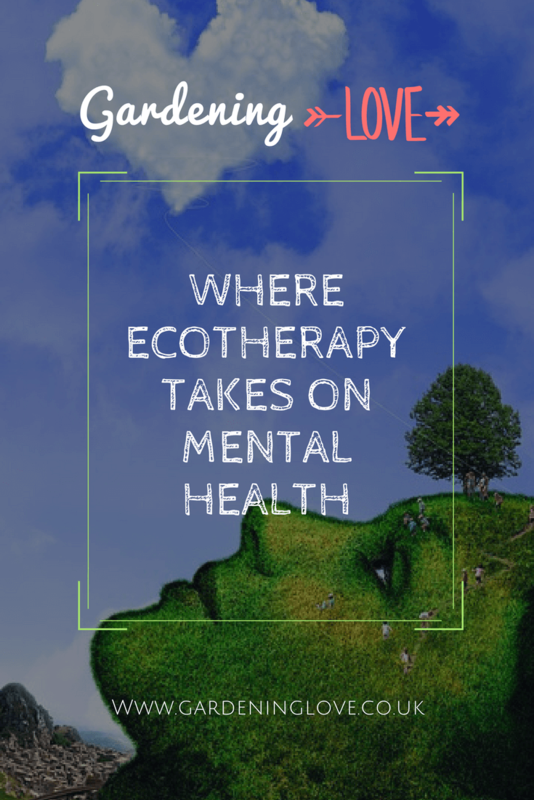 What are your favourite ecotherapy activities? What are affirmations & how can I use them ? I am happiest when I’m digging in the dirt! I love being outdoors and think the sunshine, the air, and the quiet of nature are vital to our well being! Our environment does have a great impact on our mental health and illnesses. It can help bring out the best, my grandmother always said that been in her flowers garden was the best therapy. I enjoyed reading your article.